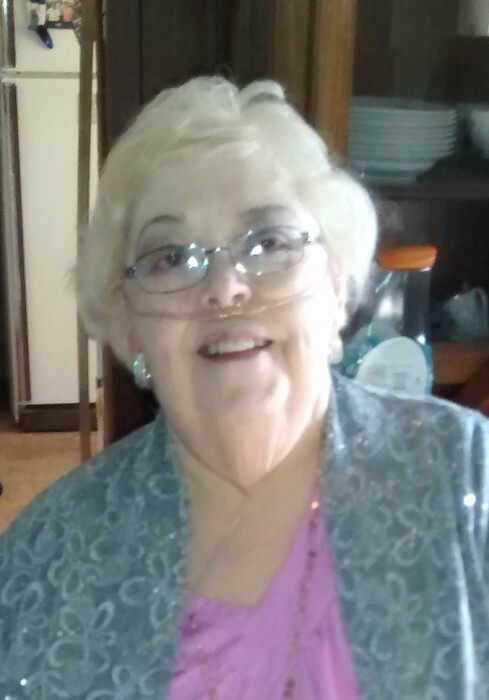 Deanna M. Munsell, 79, Kokomo, passed away at 1:54 a.m. Wednesday, February 6, 2019, at her home. She was born March 4, 1939, in Howard County, IN, the daughter of the late Orlando & Opal (Miller) Healton. On August 17, 1991, she married Gerald Munsell who survives. Deanna was a 1957 graduate of Western High School where she was the salutatorian of her class. She also graduated from Indiana University at Kokomo in 1990 with a bachelor’s in general studies. Deanna retired from Delphi Electronics after 21 years of service. She also worked for First National Bank, Marion National, and Union Bank. Deanna was a member of Southdowns Wesleyan Church, where she played piano and the organ. She was an avid animal lover. The family would like to thank the staff of St. Vincent Hospice and Home Health Care, Great Lakes Home Health Care, and Dr. Nicole Lockwood for their care of Deanna and her family during her illness. Along with her husband Gerald, Deanna is survived by her daughter, Teresa Young; step-son, Ryan (Katherine) Munsell; grandchildren, Andrew Eckles, Mallory Eckles, Abigail Munsell, Alexzay Munsell, Madison Munsell, Braedon Munsell, and Mya Munsell, all of Kokomo; siblings, Mildred Healton, Kokomo, Lester (Ethel) Healton, Kokomo, Larry (Sue) Healton, Spanish Fork, Utah, Dorothy Rapp, Kokomo, and Roger (Susan) Healton, Kokomo, along with several nieces and nephews. Deanna was preceded in death by her parents; and sister, Rosemary Frazier. Funeral services will be held at Noon, Monday February 11, 2019, at Shirley & Stout Funeral Home & Crematory, 1315 West Lincoln Road, Kokomo, with Dr. Mark Rennaker officiating. Entombment will follow in Sunset Memory Gardens. Friends are invited to visit with the family from 2-5 p.m. Sunday at the funeral home. Memorial contributions may be made in Deanna’s memory to the Kokomo Humane Society. Messages of condolence may be left online at www.shirleyandstout.com.